Items will be added constantly until the database is complete! 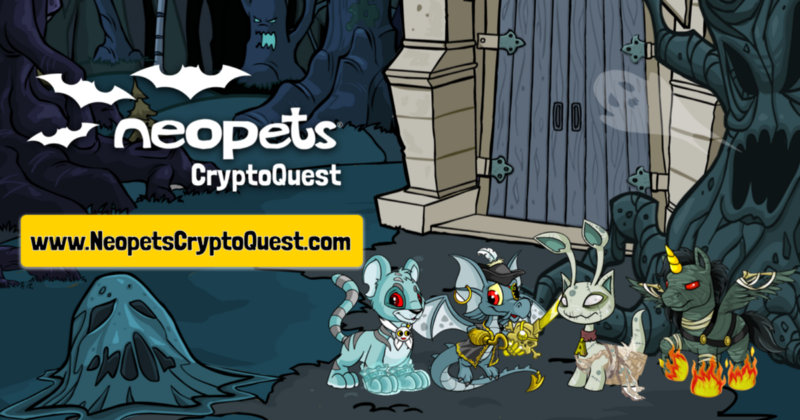 In conjunction with Fan Bits and Overpowered, Neopets has launched a has just announced CryptoQuest. These are a series of virtual trading cards which are backed by a blockchain (think Bitcoin) so they are always yours or can be traded/sold for real money. This first series will only be available until November 4th and each card comes with a virtual prize code (not exclusive items) in addition to an exclusive code for collecting certain sets of cards. visit NeopetsCryptoQuest.com for more information. The full series has also been added to our database. 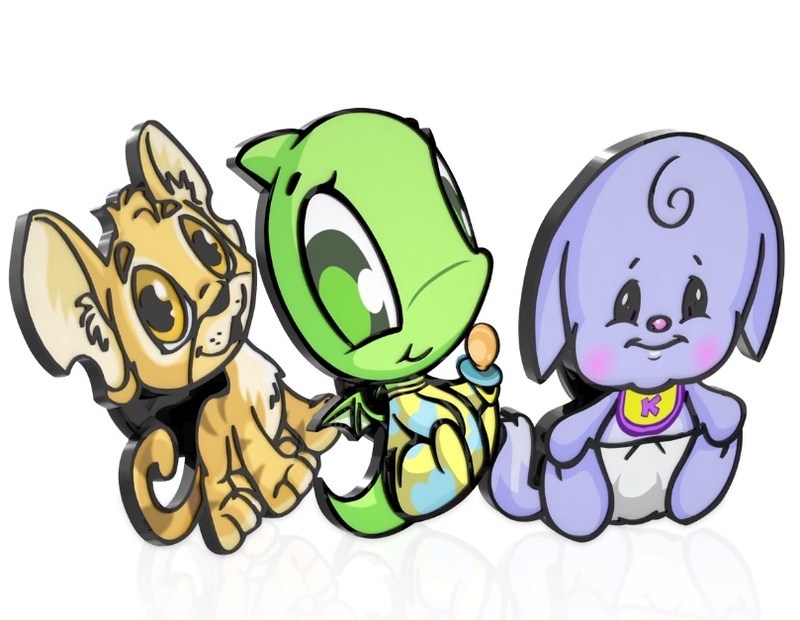 Overpowered has just announced a new line of Baby Neopets Pins! You can preorder them now on their website to receive a bonus Virtual Prize code when they release in June! 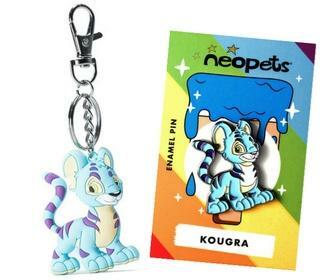 Neopets has just announced a new partnership with overpowered.life for a new line of Keychains and Enamel Pins! The best part is each item comes with a Virtual Prize Code! 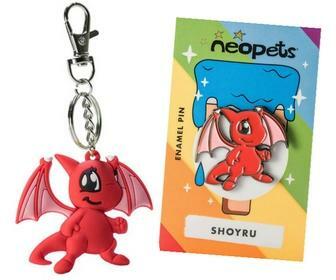 Scorchio, Shoyru, and Kacheek are available now, but more are coming soon! Real life got in the way a bit, but we're back! There are still a few kinks (admittedly I just rewrote code that failed instead of rebuilding the site from scratch) The forum is still down and because user accounts are tied to the forum, currently anything that involves logging in is down. In the interim, if you run into anything insane, feel free to shoot me a message (the contact form works and alerts me via text message!) If you notice any items missing from the database feel free to shoot me message (photos are great too!) Items that are showing but without a photo - the photos exist, the database just ate them. I'm working on it! and in case you missed it, the secret Neocam is still in the Box of Clockwork Grundos. Click it to check it out! 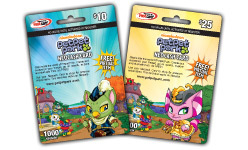 Visit PetpetPark.com from now until April 14th for your chance to win one of 10 EXCLUSIVE Petpet Park $25 Neocash Cards or one of 450 EXCLUSIVE Petpet Park $10 Neocash Cards! 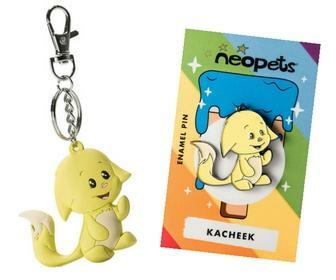 Neopets copyright 1999-2018 Neopets, Inc. All rights reserved. No part of this site may be copied without prior written permission.